60+ pages with examples and more than 100 content blocks. Plugins and Icons: save 206$ with our included stuff. Slider Revolution – save 19. Visual Composer – save 34. Ultimate Addons for Visual Composer – save 18. SuppaMenu Mega Menu – save 17. Icons IcoMoon Ultimate Pack – save 59. Iconic Icon Set – save 39. 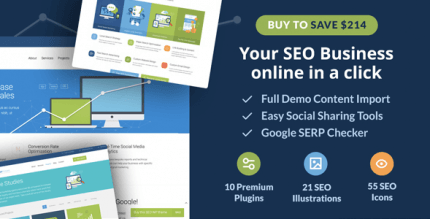 SEO Services Icons Set – save 20. 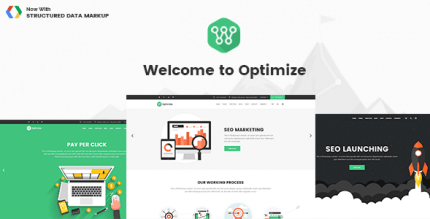 SEO Optimized – Yoast SEO plugin for management seo-options, like title, description, keywords for different pages and post-types. Fully Customizable with our powerfull theme options and metabox. 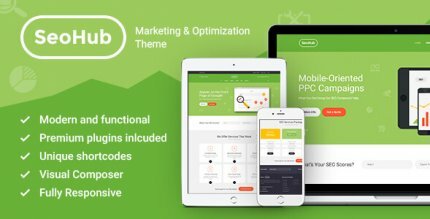 Drag & Drop Page Builder – do everithing you want. Slider Revolution – awesome plugin for build powerfull slideshow with Parallax. Advanced Typography – over 650 web font support by Google Fonts. Customizable Header – topbar, menu design, search, cart. 3 Header Types – choose your layout. Unlimited Colors – choose any colors that fit your brand. Customizable Page Settings – set sidebars, background and sliders for any page. Customizable Sidebars – create any number of sidebars. 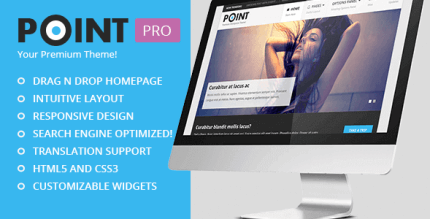 Footer Promote Box – shows to people what you can do for them. More than 100 Content Blocks – create everithing you want. Mega Menu – flexible menu options. Translation Ready – translate and display your website in any languages. 210 SEO Services Icons – included in icon font.